Isolated drooling in infants and toddlers is normal and is unlikely to be a sign of either disease or complications. It may be associated with teething. Drooling in infants and young children may be exacerbated by upper respiratory infections and nasal allergies. A sudden onset of drooling may indicate poisoning (especially by pesticides or mercury) or reaction to snake or insect venom or in some cases of a numbed mouth from either Orajel, or when going to the dentist office. Some medications can cause drooling as well such as the pain relieving orajel medication. Some neurological problems also cause drooling. Excess Capsaicin can cause drooling as well, an example being the ingestion of particularly high Scoville Unit chili peppers. Another form of ptyalism is associated with pregnancy, most common in women with a condition known as Hyperemesis Gravidarium, or uncontrollable and frequent nausea and vomiting during pregnancy which is far worse than typical “morning sickness”. With Hyperemesis, ptyalism is a side-effect, which is a natural response to uncontrollable vomiting. With normal vomiting, salivary glands are stimulated to lubricate the oesophagus and mouth to aid in expelling of stomach contents. During a hyperemetic pregnancy, many woman complain of excessive saliva and an inability to swallow this saliva. Some women note having to carry around a “spitoon” or using a cup to spit. Swallowing their own saliva has been noted to gag and further nauseate the women making the hyperemesis that much worse. Drugs – certain drugs have the ability to stimulate salivary flow. Such drugs are known as sialogogues. Increased salivation due to the drugs can result from a variety of pharmacologic effects. Besides acting on the parasympathetic and sympathetic receptors, drug action can lead to sialorrhea by direct central nervous system stimulation or as a result of nasal and oropharyngeal irritation, which leads to afferent stimulation of salivary nuclei. Local factors – it can be result of different types of stomatitis, aggressive necrotizing ulcerative gingivitis, erythema multiforme. Drooling or sialorrhea can be a devastating problem for the affected child or adult. The affected person may require numerous clothings and/or bib changes per day. The soiling of clothes, carpets, furniture, books and people often results in social rejection, employment difficulties and stigmatization. Oral motor training-oral motor training, intended to improve motor skills, is the key non-surgical management of modality and all patients ( if appropriate ) should have a minimum of 6 months of this type of therapy format, before any surgical management is considered. Biofeedback – Biofeedback utilizes conditioning techniques to train you to swallow more frequently. 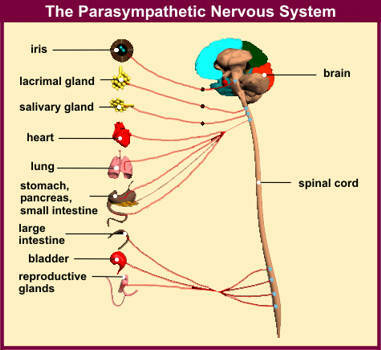 It has been utilized in aware patients with only a modest drolling problem and who have very motivated patients. Removal of local factors – situational factors may contribute to drooling should be eliminated if possible that is dental disease, nasal airway obstruction, poor seating and inappropriate medications. The drug is a competitive antagonist of muscarinic actions of acetylcholine. It does not prevent the release of acetylcholine but antagonizes the effect of this neurotransmitter on the effector cells. This action results in drying of the mouth through reduction of salivary gland secretions. The usual dose for adults is 0.4 mg , every 4-6 hours. In children, the suggested dose is 0.01 mg/kg but generally not exceeding 0.4 mg every 4-6 hours. Surgery is primary recommendation in individuals with a cognitive delay and profuse drooling and secondarily in those that have failed to non-surgical therapy for a minimum of 6 months. Dryness of mouth? Less Saliva?